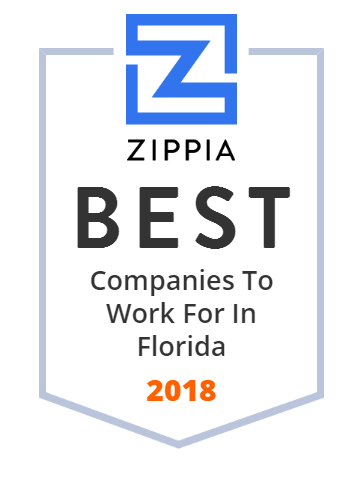 We hand-curated a list of the best companies to work for headquartered in and around Florida using data on salaries, company financial health, and employee diversity. NCCI is the nation's most comprehensive source of workers compensation insurance information. HCI Group, Inc. is engaged in homeowners insurance, reinsurance, real estate and information technology services. Its divisions include The Homeowners Choice insurance, TypTap, Exzeo, Greenleaf Capital, and Claddaugh. The company also owns and operates one full-service restaurant, two marinas, two retail shopping centers, and one office building. HCI Group, Inc. was incorporated in 2006 and is headquartered in Tampa, Florida. It currently has a team of over 300 employees. Universal Insurance Holdings, Inc. (UIH) is a vertically integrated insurance holding company performing all aspects of insurance underwriting, distribution and claims. This trusted company's insurance company underwriters work closely with independent agents to market and underwrite business. With competitively priced products, convenient installment billing plans and proactive claims management, both UPCIC and APPCIC provide their customers with superior service. Commonwealth Land Title Insurance Company Inc. provides residential and commercial title-related insurance services and specialty finance solutions. Its title-related services include reconveyances, recordings, attorney, flood certification, credit reporting, collection and trust, trustee sales guarantees, real estate tax, foreclosure publishing and posting, intermediary exchange, and real estate information and technology services. The company s specialty finance solutions also include originating, funding, purchasing, selling, securitizing, and equipment lease servicing. In addition, it offers agency, notary, and default services; home warranty contracts, property and casualty insurance, investment property exchange, national title information, and UCCPlus insurance; escrow and closing services; and real estate natural hazard disclosure information to the real estate industry in California. The company serves lenders, builders, developers, attorneys, and real estate professionals in Canada, Mexico, Europe, Asia, Latin America, and the Caribbean. Commonwealth Land Title Insurance Company Inc. was formerly known as The Real Estate Title Insurance Company of Philadelphia. The company was founded in 1876 and is based in Jacksonville, Florida. Commonwealth Land Title Insurance Company Inc. operates as a subsidiary of Chicago Title Insurance Company. Fidelity National Financial, Inc. (NYSE:FNF), a Fortune 500 company, is the United States' largest provider of commercial and residential mortgage and diversified services. FNF generates approximately seven billion in annual revenue from their title and real estate related operations. Fidelity National Financial, Inc. is currently ranked number 316 on Fortune's list of America's Largest Companies. The title insurance underwriters that comprise Fidelity National Title Group (FNTG) - Fidelity National Title, Chicago Title, Commonwealth Land Title, Security Title Agency, Ticor Title, and Alamo Title - currently issue residential and commercial title insurance policies for multimillion-dollar properties throughout the U.S.
Carrier and Technology Solutions offers comprehensive technology and outsourcing solutions. Its portfolio of companies deliver general agency services, specialty underwriting, captive management, claims administration, self-funded health plans, and technology solutions to insurance carrier partners, businesses and other clients. Carrier & Technology Solutions, LLC was founded in 2003 and is headquartered in Fort Lauderdale, Florida. To promote and facilitate the real estate practices of Fund Members in their protection of the public. ASI is one of the 15 largest homeowners insurance carriers in the United States. ASI operates as a collective group of insurance companies that offer coverage for personal lines residential property insurance, personal umbrella insurance, flood and excess flood insurance in over 40 states. The company was founded in 1997 and is based in St. Petersburg, Florida. American Strategic Insurance Corp. operates as a subsidiary of ARX Holding Corp.
AssuredPartners, Inc. provides property and casualty insurance, and employee benefits brokerage services in the United States. The company was founded in 2011 and is based in Lake Mary, Florida with additional offices in the United States. Since 1992, our team of knowledgeable experts has been providing protection to homeowners, condo owners and businesses. Sihle Insurance Group has 10 locations across Florida that specialize in a variety of personal and commercial lines options. Founded in 1984, Creative Advertising is the go-to agency for many University of Florida groups and organizations as well as many local businesses. This full-service graphic design and advertising agency offers a diverse collaboration of experience, skill and talent. Creative Advertising relies on that diversity to offer their clients the best solution to their marketing needs. The Homeowners Insurance experts at Blanchard Insurance can help you choose the right coverage. StorterChilds is an RR Donnelley company that is part of a complete, integrated network of RR Donnelley facilities across North America. Headquartered in Gainesville, Florida, this innovative company offers custom communications solutions such as marketing solutions, digital and offset print, mailing and fulfillment, finishing and more. As a G7 Master certified printer, they bring the advanced technology, techniques and standards to meet their clients' visual expectations every step of the way, from first proof to final print. Heritage Insurance Holdings offers home, condo, rental property, and commercial residential insurance through a large network of experienced independent agents. Its commitment lies in providing homeowners with the highest quality property insurance along with some of the most competitive rates in Florida. Heritage Insurance Holdings prides itself with having employees who go the extra mile for their customers. Hit Promotional Products is your one stop shop for promotional products. With over 1,400 total items, Hit is ranked among the top 50 suppliers in the nation. Your online store for dictation, transcription equipment, headsets, EMR and speech recognition products! Founded in 1997, Florida Seating is a leading supplier of commercial furniture to the restaurant, hospitality, and design industries. Committed to provide durable seating with the shortest possible lead time and at the most competitive price, Florida Seating works with award-winning designers all over the world and strives to constantly expand its collection with furniture that meets the highest standards for sustainability and quality, and also reflects the most current trends in contract seating. S based franchise that specializes in custom embroidery and screen printing. Qualpath, founded in 2001, is a print management company and offers a full portfolio of print management solutions including assessment tools, printers and multifunctional systems that print, copy, fax and scan. QualPath helps organizations better manage their information and provides additional managed services for workflows. It clients come from the government, schools and education, healthcare, manufacturing, and other markets. Qualpath can be found in Pompano Beach, FL. UPC Insurance is a homeowners insurance company that focuses on writing personal property insurance in catastrophe-exposed areas through a network of independent agents. The company offers products in homeowners, dwelling fire and for flood coverage. UPC Insurance is committed to financial stability and long-term solvency. Its family of companies includes American Coastal Insurance Company, Interboro Insurance Company, and Family Security Insurance Company. Established in 1999 in Saint Petersburg, FL. Speak to a person first, get free 1-day delivery, and great pricing on office supplies and more. Place an order with Keeton's today! We Provides Quick And Easy Auto Insurance Quotes For All USA Residents. Welcome to Des Champs & Gregory, Inc. of Bradenton, FL. Please call us for our insurance service information at 941-748-1812. Lawyers Title Company provides title insurance, escrow, and closing services. It offers title-related services, such as reconveyances, recordings, attorney services, flood certification, credit reporting, collection and trust, trustee sales guarantees, real estate tax service, foreclosure publishing and posting, exchange intermediary services, and real estate information and technology services. The company also provides specialty finance solutions, such as originating, funding, purchasing, selling, securitizing, and equipment lease servicing; and other services, including agency services, bancserv notary services, default services, home warranty contracts, property and casualty insurance, investment property exchange, national title information, and UCCPlus insurance. It serves lenders, builders, developers, attorneys, and real estate professionals. The company was founded in 1925 and is based in Jacksonville, Florida. Lawyers Title Company operates as a subsidiary of Fidelity National Financial, Inc.
Florida Direct Cremation specializes in low cost direct cremation services and merchandise. We serve all communities in the greater Tampa Bay area. Shop custom promotional products wholesale for your event, party or wedding. Free Shipping on most items & guaranteed cheap wholesale prices. O'Donnell Corporation is a full-service large format printing company. Our capabilities include pre-press, screen-printing, digital printing and all finishing. Advertise Your Logo Text On Quality Low Cost Promo Custom imprinted Promotional Products, Easy Online Ordering. Over 750,000 items to choose from. Established 1987. When looking for health insurance quotes, Florida has many Florida affordable health insurance plans. Florida health insurance plans include many individual health insurance plans. HealthSun Health Plans is a South Florida Medicare Advantage Plan. Simply Extraordinary Solutions. Colonial provides a full range of printing communication services to a diverse list of clients. Signs USA is a full service sign company with over 25 years of experience. Request a Free Quote today! We offer commercial printing services in Florida. Digital & offset printing, direct mail marketing and custom packaging design. Anchor Insurance provides home insurance coverage to homeowners living is storm prone areas. Visit our website to request a quote for home insurance. Consolidated Label is an industry leading manufacturer of custom printed labels & shrink sleeves. Labels for any use - bottles, weatherproof & more.